It’s probably safe to say that we as humans think very highly of our individual ability to solve puzzles when challenged. Recently one of our interns, Jeremiah Marcellino, has been designing and building his own puzzles for his business, Puzzle Nook. Now, these are not your simple jigsaw puzzles. They’re 3D puzzle boxes which will certainly test your inner Sherlock. Check out how he transformed basic plywood into absolute mysteries with the tools we have right here at theCO. 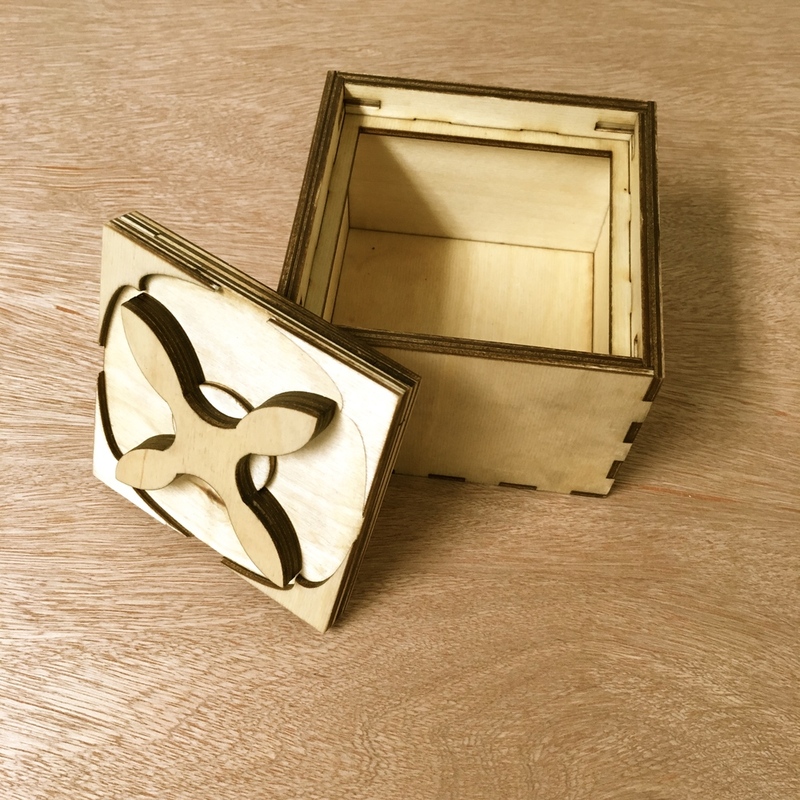 Step One: First, Jeremiah spends up to 40 hours designing just one puzzle box in a program called Inkscape. It’s free and quite powerful. As he is designing, he must keep in mind that every piece, junction, or pocket of wood must be extremely precise or the entire puzzle will not work due to the boxes variety of sliding parts. Step Two: The next step is to incorporate magnets into the design. Once again, precision is a must! Even the polarity of the magnets will affect the overall mechanics of the puzzle. Step Three: After triple checking the design, it’s now time for laser cutting! 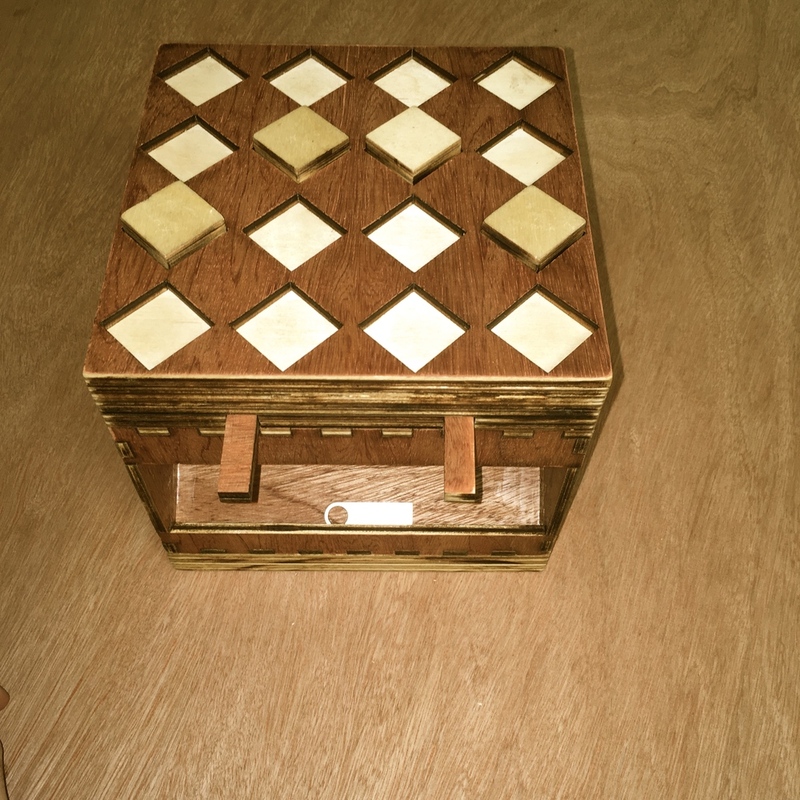 Creating a 3D puzzle box takes many sheets of the 1/8" plywood and due to the inconsistencies in thickness, measuring the wood before you cut will save a lot of hassle in the end. Step Four: With all the parts of wood cut out, it’s time to assemble! This process requires hours of waiting for glue to dry, making sure pieces don’t move while drying, and hand sanding to get that perfect fit­­—not to mention another hour of testing to make sure everything slides, locks, and releases how it should. The Final Product: Once Jeremiah’s puzzles are made, they’re ready to play! Get a month’s CO:membership to try out our laser cutter to try your hand at your own design. (Or visit puzzlenook.com to see more of Jeremiah’s designs.) Give a puzzle to your worst enemy and watch them boil with frustration. Enjoy!